Pro Soccer Kids is a family-run organization, created from a love of soccer and joy of working with kids. Coach Tom has played and coached soccer all over the world, including Ireland and Australia. 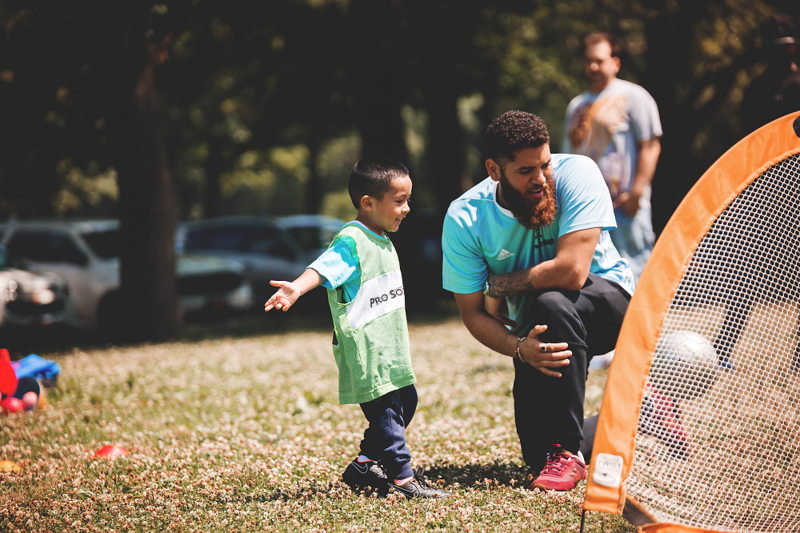 He shares his love and excitement for soccer with New York kids of all ages and skill levels, starting as young as two! Pro Soccer Kids’ coaching staff have helped over 25,000 kids learn and sharpen their soccer skills in a fun and positive atmosphere for the past 13 years. Pro Soccer Kids’ coaches provide a simple, engaging, and fun class experience for your child. Our class activities are created to inspire your child whether he or she is kicking a ball for the first time or the thousandth. We provide everything for class: soccer shirt, soccer balls, nets, cones, mats, and stickers! We work on both individual and team skill-building. We provide a consistent class format, so kids are familiar with the flow, while also presenting different games so that kids are excited and interested to learn each week. We welcome all skill levels- no experience needed! All Pro Soccer Kids coaches are trained to work specifically with toddlers and young children. 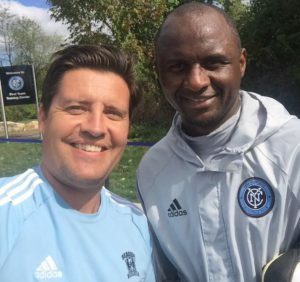 They share their joy of teaching soccer, combined with their experience of coaching kids. For specifics about how we run our program, see our PROGRAMS page. We use creative class activities that teach basic soccer skills (dribbling, shooting), incorporating letters, numbers, colors, listening skills, and eye/foot coordination. We emphasize teamwork and treating each other with kindness. We celebrate accomplishments together each and every class! Class size for this age group is normally capped at 11-13 kids with two coaches so that each child receives plenty of attention and encouragement. We introduce and work on directional play, ball handling, shooting, dribbling, and passing with both individual and team skill-building. Most players this age love scrimmage games! We provide a positive and supportive atmosphere for all games. Our coaches ensure that each class is innovative and engaging. We strive for kids to have fun and feel the sense of accomplishment as they demonstrate new skills. Class size is normally cappped at 14-16 kids with two coaches so that each child receives plenty of attention and encouragement.